BANKS NOTARIZE DOCUMENTS FOR FREE. This is good to know–banks can notarize your documents for free! If you need to get a document notarized, a simple, free solution can usually be found at the nearest branch of your bank. Getting a document notarized is typically very simple. Present the document to a notary public and sign it in her presence. After that, she officially notarizes the document using an official stamp, writes in the date, and adds her own signature. The notary usually asks to see photo ID to verify that you are indeed the person whose signature she is notarizing on the document. Having a document notarized is essentially a third-party verification of your identity as the person signing the document. Examples of legal documents that commonly require notarization are mortgage documents, wills, trusts, power of attorney authorization and medical documents. Nearly all U.S. banks – certainly all the major money center banks, such as JPMorgan Chase & Co., Bank of America Corporation and Wells Fargo & Company – usually have a notary public on staff in most of their branches. If the branch where you most frequently do your banking is a small one in a rural area, there may be a notary public available. If there is not, the branch manager, or even a teller or personal banker, can usually tell you about a local branch of the bank that has a notary on the premises. 1. John Pugsley, The Alpha Strategy, 1980. The book that dealt with the effects of monetary inflation on commodities. A couple other essays you’ll want to read on John Pugsley are here and here. pick up @ the 33-minute mark. Investing for Beginners. We all need some direction. Debt: From Crisis to Great Recession. Watch the following video. Then check out these 2 sites: ttmygh (Things That Make You Go Hmmm), Financial Sense, and finally the Investment Institute. And learned tonight that Pinterest is up over 700% compared to Facebook which is up over 100% its opening price. 1. Mark Skousen investment recommendations, news, and alerts. 2. Mark Skousen’s personal blog on money and economics. This is Skousen’s investment letter. At first, I thought it was a group of investors looking for insights and a leg up. But it’s not that. FreedomFest looks like political activists involved in political reform. And upon further examination, it’s not even political reform; it’s political talking points. Period. One of the speakers in their FreedomFest 2015 Review stated that “We realize that FreedomFest is a big tent.” Ah, you can’t get more of a political statement found on the floor of a political rally than that. And it seems like an incubator of conservative/Republican people to nominate for the next presidential run. 4. Tom Woods interviews Mark Skousen on January 22, 2016, where Skousen criticizes the gold bug Austrians and says that there is always opportunity in stocks or equity markets. On Friday, January 29, investors proved around the world that they are blithering idiots. The Dow Jones is up almost 400 points. Why did it move so fast? Because there was a story that the Bank of Japan was going to introduce negative interest rates. The story was essentially fake. Almost immediately, a columnist for The Washington Post described in detail just how fake it was. You need to read this. This might be the Jedi mind trick Japan was looking for. Markets, at least, sure seemed to think so. Japanese stocks surged almost 3 percent and the yen was down about 1.5 percent, which helps exporters, on the news that the country’s central bank had done something it had never done before. That’s cutting interest rates into negative territory. Instead of paying banks 0.1 percent on any deposits they have with it, the banks will have to pay the central bank a 0.1 percent penalty for the privilege of holding their money there. Or will they? If you read the fine print, it turns out that this negative interest rate barely applies to anything at all. So in a way, it’s almost about tricking markets into thinking that it’s doing more than it actually is. It worked flawlessly. The lemmings streamed back into the equity markets all over the world. 1. Doug Casey on speculation. 1. Paid Social Media jobs. 2. Yaro Starak so far is the best presenter on how to make money blogging. It’s not like he shows you advertising tricks or what widgets make you money and none of those sales-y type of speils. To the contrary, his presentation does almost go step by step. You should know first that the blog itself is merely a platform for your digital tools, like e-book, podcasts, e-letters, white papers, what have you. The blog is not the end-all and be-all, you build it, set it, and it starts making you a passive income. That model is a lie, always has been a lie, one that some people have profited handsomely from. Give Yaro a listen and see if blogging is for you. See if you can commit yourself to such projects. 4. I want to get 1000 subscribers to my email list via the free ebook available on my website. 1. How This 25-Year-Old Made $66,000 in a Month by Teaching an Online Course, Business Insider, 11/14/2014. 2. This Entrepreneur Increased Salary to $400/Hour, Business Insider. 3. Profitable Side Businesses at $1,000/month, Business Insider, Jan. 8, 2015. 1. How You Can Profit from the Coming Devaluation, Harry Browne. Posted on Christmas Day, Friday, December 25, 2015. 1. Marc Andreessen and Ben Horowitz at Andreessen Horowitz “Software Is Eating the World” review the interaction between businesses and technology. I haven’t found much of it relevant. I hope I am wrong. 1. How to Achieve Your Goals, Chris Brogan, January 25, 2016.
c. T. Harv Eker. This guy’s story I liked. I took notes. Give this a listen. 1. NBER, National Bureau of Economic Research. 2. Bureau of Labor Statistics, BLS. 12. Economic Commentary on the Bible: Genesis to Revelation. 14. Safe Haven for Liberty. 15. Acton Institute: For the Study of Religion & Liberty. 8. Washington Post or WaPo. 15. American Enterprise Institute, AEI, via Carpe Diem, via Mark J. Perry. 22. Epic Times. Richard M. Ebeling. 23. Money & Markets, Charles Goyette. 24. Tyler Cowen’s Marginal Revolution. 29. George Selgin, CATO Institute. 32. Martin Hill, Liberty Fighter. 44. Proven Ways of Making Money. 45. Zenconomics by Joe Withrow. 50. Devour.com, videos worth watching. 54. Economic Principals, David Warsh. Wenzel cited this article by Warsh. 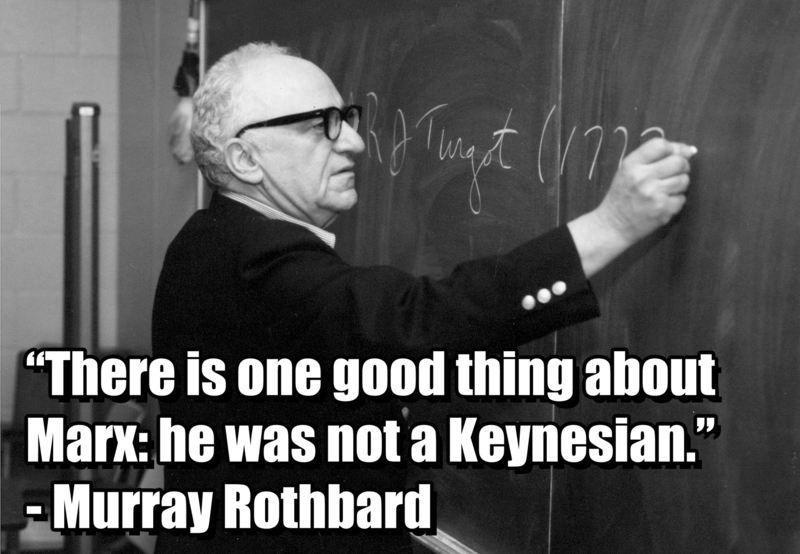 At the 48:30 mark, Krugman charges Schwarz with pulling “credentials” as a way to dismiss him. Listen for yourself. Schwarz tweeted later that he put his hand out to shake Krugman’s hand. Krugman did not shake his hand. I originally thought that this contest was aired in 2013. Apparently, I was wrong. Ron Paul v. Paul Krugman, 2012. You’ve probably seen articles and adverts discussing how much money you’ll need to “retire comfortably.” The trick of course is the definition of comfortable. The general idea of comfortable (as I understand it) appears to be an income which enables the retiree to enjoy leisurely vacations on cruise ships, own a well-appointed RV for tooling around the countryside, and spend as much time on the golf links as he/she might want. Needless to say, Social Security isn’t going to fund a comfortable retirement, unless the definition is watching TV with a box of kibble to snack on. By this definition of retiring comfortably, I reckon I should be able to retire at age 91–assuming I can work another 30 years and the creek don’t rise. Since I earned my first real Corporate America paycheck at 16 in 1970 (summer job for Dole Pineapple), I’ve logged 45 years of work. Now if I’d been smart and worked for the government, I could have retired 10 years ago with generous pension and healthcare benefits for life. But alas, I wasn’t smart, so here I am a self-employed numbskull. The articles and adverts usually suggest piling up a hefty nest egg to fund that comfortable retirement. As near as I can make out, the nest egg should be around $2.6 million–or maybe it’s $26 million. Let’s just say it’s a lot. This raises the second problem: identifying those magical high-yielding investments that won’t suddenly turn to dust when the long-awaited retirement approaches. But all the safe ways of gaining earned income have been eradicated by the Federal Reserve. As I described in The Fed’s Solution to Income Stagnation: Make Everyone a Speculator (January 24, 2014), the status quo “fix” for economic stagnation was to financialize the U.S. economy. What this means on the ground is eliminate safe returns and make everyone a speculator in high-risk, high-yield financial games. In the securitized economy, I divide the loan into tranches that are sold to investors like stocks and bonds. I can “cash out” my entire gain in the present, and then sell derivatives on the securitized debt as a form of “portfolio insurance” to other buyers. In effect, the central bank/state’s policies of low-interest rates, easy money, and limitless liquidity sought to compensate for the decline of real income by generating speculative income on a vast scale. The Federal Reserve’s solution to stagnating household income was to make every homeowner into a speculator. The Great Housing Bubble of the 2000s was the perfection of this strategy: as every home in the nation was floating higher in valuation as the result of an enormous credit/financialization bubble, homeowners were granted a form of “free income” via home equity lines of credit (HELOCs) and second mortgages. In the wake of the implosion of the housing bubble, the Fed sought to repeat the exact same strategy of inflating speculative bubbles in widely held assets: stocks, bonds, and real estate. So anyone assembling a nest egg for retirement is gambling that the bubbles don’t all pop before he/she cashes out. If the bubbles keep inflating steadily for another decade, making assets ever-more richly valued and unaffordable to anyone who isn’t using leverage to buy them, then maybe I could retire after only 55 years of work at age 71. But what are the chances that monumental bubbles in stocks, bonds, and real estate will continue inflating for another decade? Most gigantic asset bubbles pop after five years of expansion. The current bubbles are in Year 6 of their speculative expansion, and it seems highly unlikely that they will be the only bubbles in the history of humanity to never pop. If the current bubbles follow the pattern of all other speculative credit-driven bubbles, they will pop, without much warning and with devastating consequences for all those who believed the bubbles couldn’t possibly pop. In that case, it looks like I’ll need to work another 30 years, logging 75 years of labor before I can retire comfortably at 91. My advice is to focus not on retiring comfortably, but on working comfortably. Line up work you enjoy that can be performed in old age. That’s a much safer bet than counting on the serial bubble-blowing machinery of the Fed to keep inflating speculative bubbles that magically never pop. Swiss Central Bank by its action admitted it was wrong for engaging in QE. Peter has the story. When the Chinese decide to abandon their peg, that is going to be a 10.0 on the Richter scale of economic activity. And the dollar will take it on the chin. Reggie Middleton’s Boom Bust Blog. Bob Wenzel’s Economic Policy Journal blog.